Win more often with the best casino bets by house edge. Yesterday, we talked about avoiding the 10 worst bets by house edge. Today, as promised, we’ll focus on the opposite end of the spectrum. You’ll learn the 10 most valuable bets in any casino, by house edge. Entertainment should always be the number one goal when gambling. Casinos exist to profit their owners; not to make everyone a winner. The odds are never in your favor. It takes a good strategy and a bit of luck to be a consistent winner. But by playing the right games, and placing the right bets, you can easily increase your odds of positive results. As I noted yesterday, I won’t bother with games that aren’t readily available. There may be some rare game in some distant casino that’s profitable, but you won’t find it on this list. My goal is to provide information everyone can take advantage of. Therefore I’m only including games found in every – or almost every – casino, online and on land. If you’re going to play any video poker game online, look for this one. All Aces Poker is available at all Microgaming online and mobile casinos. Use a proper strategy, don’t deviate from it, and you’ll achieve a fabulous RTP of 99.92% (0.08% house edge). Another great video poker game, Jacks or Better can be found at most land-based and online casinos. Make sure to check the pay table for the Full Pay (9x Full House, 6x Flush). If it’s anything less, move on. 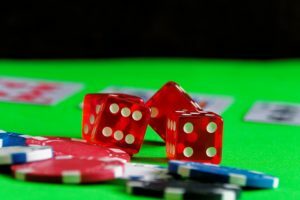 With the right blackjack rules and a proper strategy, you can achieve a house edge of about 0.5%. Look for traditional rules, including 3:2 blackjack pays, dealer stands on soft 17, double on any two cards, resplit, and double after split. The lower the number of decks in play, the better. In this common blackjack variant, all 10s are removed from the deck. This lowers the odds of being dealt a natural blackjack by 25%. However, other player-friendly rules are enforced to bring the house edge back down. The 0.76% edge applies to games where the dealer hits a soft 17, and the player cannot redouble (common). If redoubling is allowed, the edge drops to 0.42% (uncommon). With redoubling and dealer stands on soft 17, it drops even further to 0.4% (rare). The Banker bet in baccarat wins more often than not. Casinos attach a 5% commission to turn the odds back into their favor. Even so, players get a favorably low house edge of 1.06%. The Player bet in baccarat is almost as valuable as the Banker bet, with a house edge of 1.24%. It’s a pretty good deal, but not recommended since we know the Banker bet is optimal at 1.06%. If you can’t stop yourself from making additional bets beyond Pass/Don’t Pass, try the 6 or 8 bet in craps. There are 10 ways to roll them out of a possible 36 combinations. With a 6 to 5, and a bet that stays in place until it’s won or a 7 is rolled, that puts the house edge at 1.52%. Much like the Pass/Don’t Pass bets in craps, the Place and Don’t Place on 6 or 8 are close in value. However, the Place bet is the optimal choice. Three Card Poker involves a mixture of wagers, including the Ante, Play and Pair Plus bets. With optimal strategy (play Q/6/4 and up, fold anything less), the combined house edge on Ante and Play bets is 2.01%. The Pair Plus can range from 2.3% to 2.7%, depending on the pay table. As you may have noticed, there aren’t too many games that offer a supremely low house edge of under 1%. For that reason, I’d recommend sticking to #1-5 in the best casino bets list. But as I said, entertainment is the goal. If baccarat, craps side bets, or three card poker make you happy, by all means, enjoy!